Cloud highly efficient and does not require an extensive infrastructure, it can be easily to manage. Bring cloud-based IoT solutions into the mix, and you have a very strong network, with very few connectivity issues, and almost seamless sharing of data and performance of processes. As good as cloud computing may be in terms of functionality and efficiency, it is not always the most proficient when it comes to preservation of security. As it is a centralized solution, which in turn relies on stable connection for as many data storage and processing centers there are, it can be prone to failure associated with infrastructure failure due to connection issues and malignant outside interference. A connection issue could potentially halt operations, since computing power is centralized, and if the server is down, then the entire network cannot function. Following are some reasons why Cloud IoT solutions should be unified with edge sync management. Preservation of Privacy: When some data is accessed within an IoT network, there are myriad chances of the privacy of that data being compromised. When the data is processed on the spot, it is better protected since not many other users on the network have access to said data. 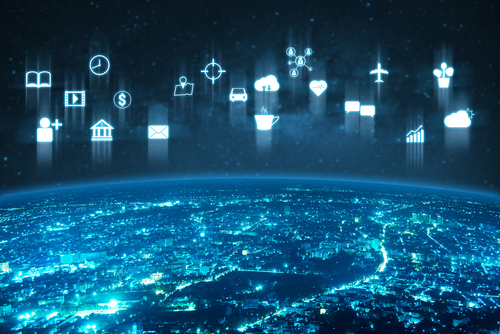 Reduction of Latency: Cloud IoT solutions can implement acquired learning on any number of connected systems, or even throughout the cloud network. Edge sync management can be implemented alongside, which will result in more complex tasks being performed off the high traffic areas, leading to a significant reduction in latency. Increased Awareness of Connectivity Issues: Since edge sync management increases the efficiency of the network to a significant degree, it will be beneficial to implement it across a given network, along with the cloud IoT solutions. There are many connectivity issues that rise in such a network, and the more distant a process in from a problematic area, the more efficient it will be. Multiple Sources Distribute Security and Computing: The biggest advantage of edge computing for a cloud-based IoT network is the distribution of security and computing power. This leaves other members of the network immune to connection stress, as well as security issues, since each user must manage both. On the practical side of things, this makes a very positive user experience, since their connection and time within the network is not affected by either integral or external influences. In conclusion, it is very viable to fuse cloud-based IoT solutions with edge sync management, for across-the-board success. Almost all manner of cloud-based networks, be they social or official, can use the marriage of effective edge sync management with cloud IoT solutions.